Find errors and unexpected behaviour on our website, www.footway.com. Help us identify what is not working properly on a user perspective. You should test exploratorily and focus on the functionality. The purpose of this contest is for us to try out the concept of letting freelancers help with the bug hunt. The freelancer who can find and present the most errors in the best way will be chosen as the winner. In addition to this contest we are looking for several freelancers who can help us searching error each month, so if you show that you have good ability of testing, there is a high chance that you will be invited to do this periodically. We have 11 sites, or 9 languages. They are functionally almost identical, but the languages are different. Feel free to choose any language that you are comfortable with but the final report should be in English. Just FYI, the translations of the sites are not perfect yet, so you do not need to focus on any issue which are related to the languages. Exploratory test all flows that you can think about. No payment should be tested which means you do not need to pay anything in the last step of purchase. Focus on the functionality and usability, not translation or spelling error. The focus is not security, however if you find serious security concerns we will consider that bugs as well and will pay a finders fee. 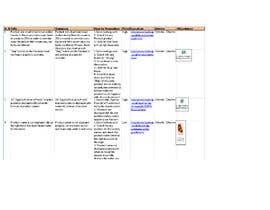 Report the errors/bugs using our test report template in English. We have very limited capacity to answer questions or give individual feedback during the project, instead we will give collective feedback. This will then hopefully help you get a better understanding of what we are looking for. 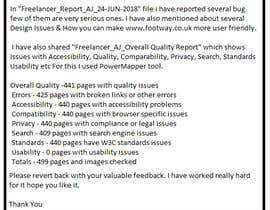 Hi, I have checked and saw that I could not change the submission format to anything else so it will be appreciated if you can upload your report as screenshots. yep, done that, exported in PDF then converted to individual image files per page. Dear Team, I have created my defects list in the excel sheet. can you please make the submission file type as excel, so that i can share my defect sheet with the attached screenshots onto it. Dear Team, Please pass on few dummy promotion codes[UK] to test.